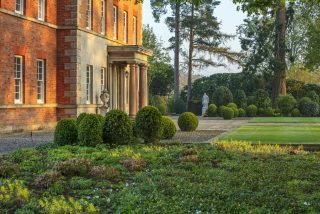 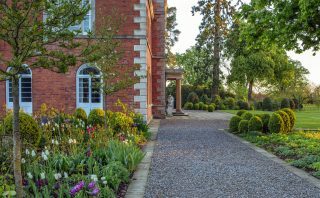 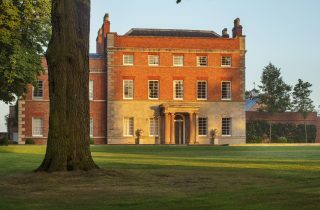 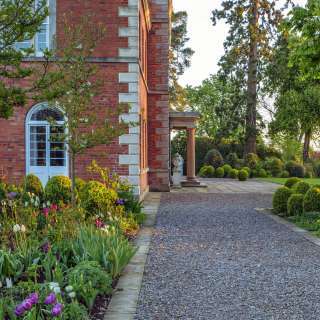 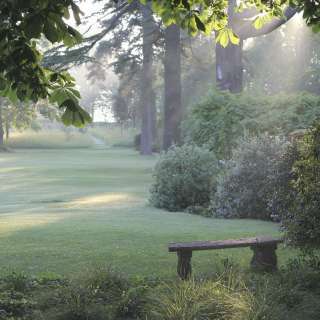 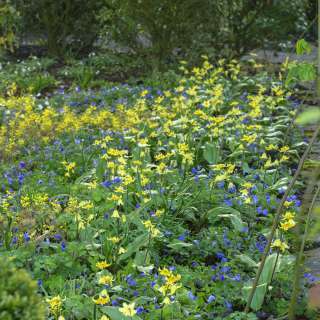 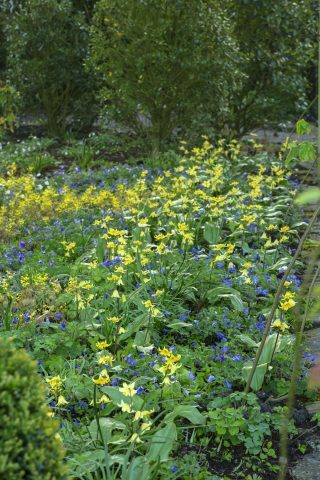 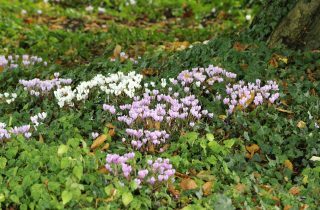 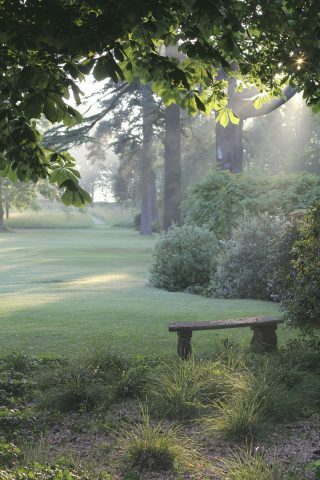 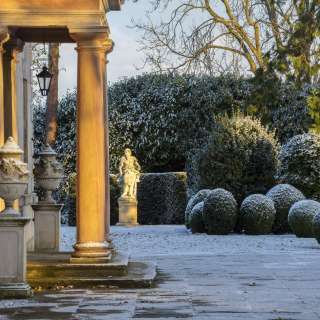 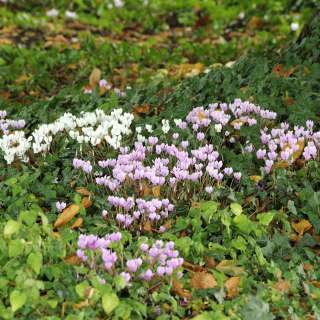 Guided tours start on the East Terrace in front of the main entrance with an introduction to the colourful history of Morton Hall and the design of the current garden. 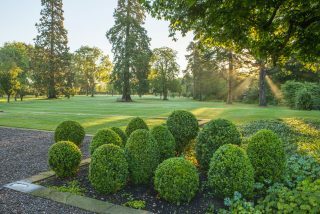 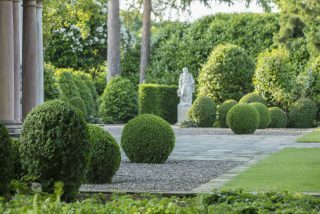 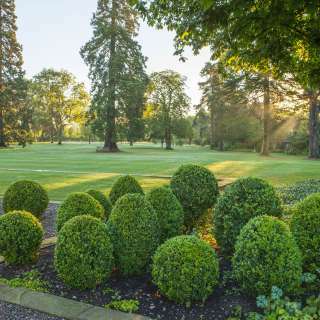 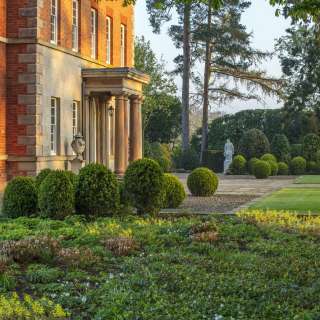 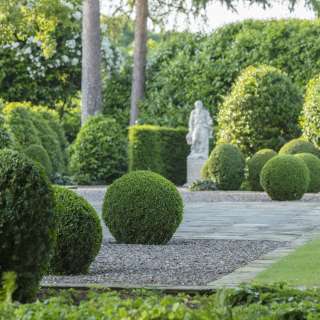 The large expanse of the main lawn and the austerity of the façade are harmonised by playful groups of box topiary. 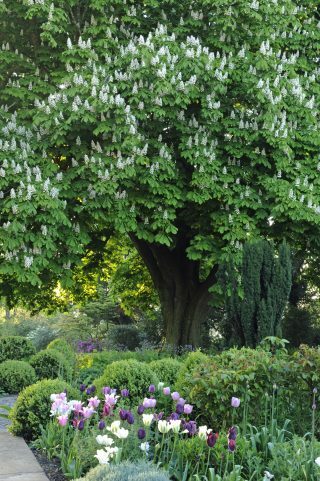 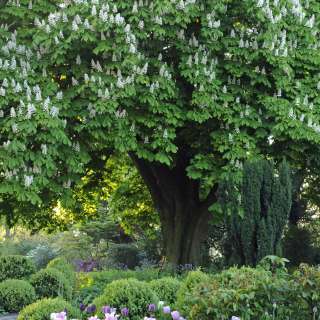 In the south-east corner, an ancient listed white horse chestnut presides, whose canopy has been lifted to allow under planting with a succession of bulbs. 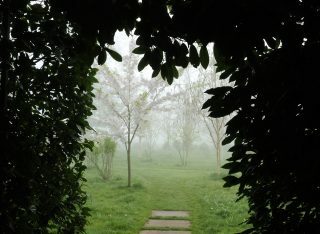 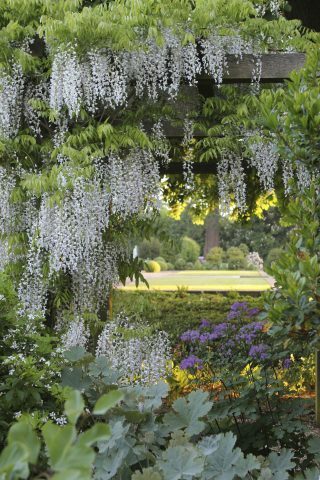 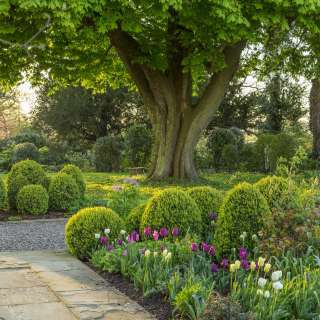 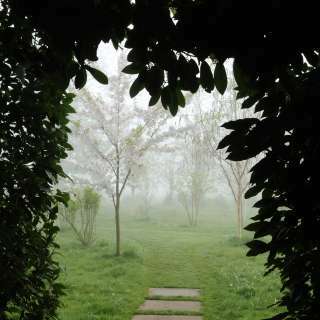 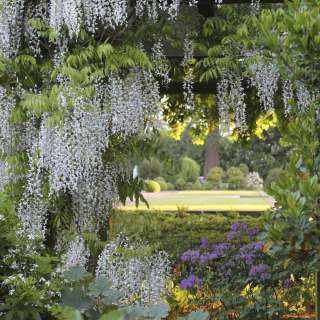 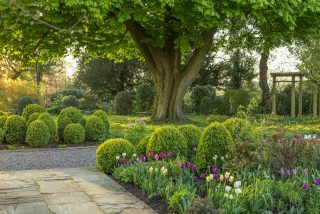 In the late spring, the formality of the space is further softened by rhododendron blooms and a white wisteria arbour. 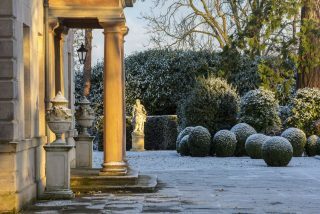 From the East Terrace, a gravel path leads past a statue of Seatern, the Saxon harvest god, through a laurel archway into the New Garden and into the Park.